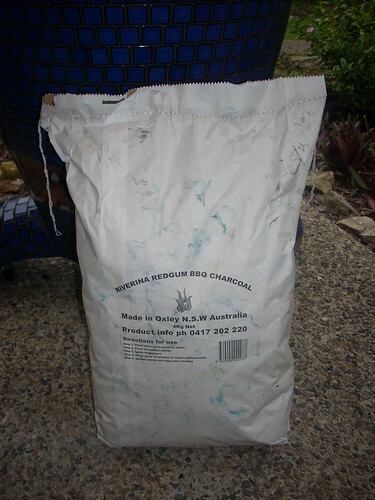 I received a bag of charcoal from Riverina charcoal and after a few weeks I finally found some to to review. 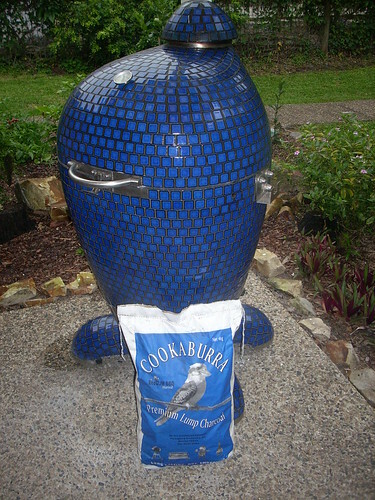 (I had to make time for the photographing and ensuring my KK was nice and low on charcoal so I could easily swap to Riverina only. It came in a 4kg bag and looks kinda small next to my Komodo Kamado (having said that it lasted a few cooks; more on this later). 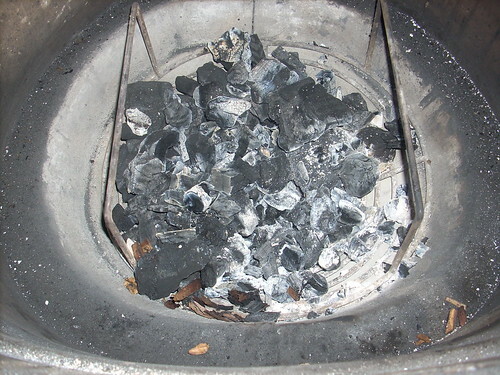 I loaded a layer of charcoal into my Komodo Kamado. And added about as much again with a Heatbeads starter. 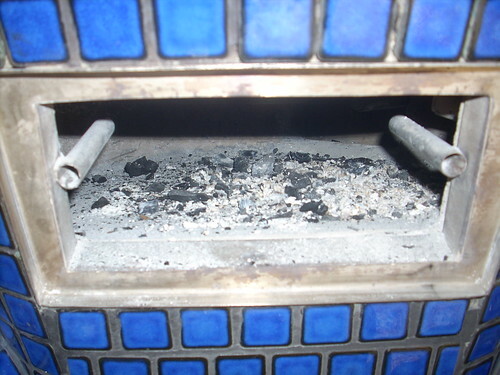 I was really pleasantly surprised by the amount of ash (actually not that much ash at all) as seen from the front of the Komodo Kamado. 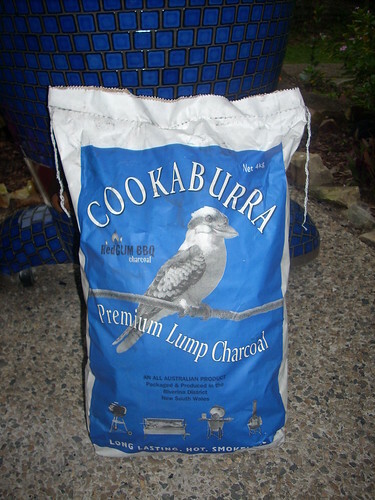 I have seen finer ash with coconut extruded but this was pretty good. 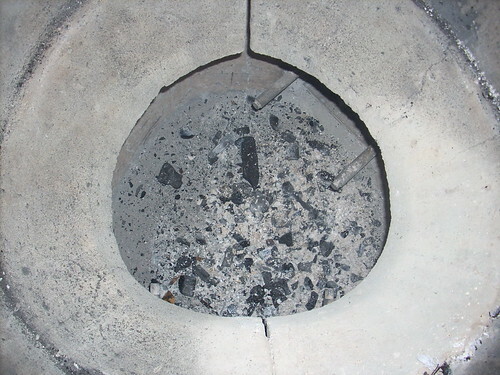 This is what it looks like from the top (in my opinion no too much ash from a single cook). 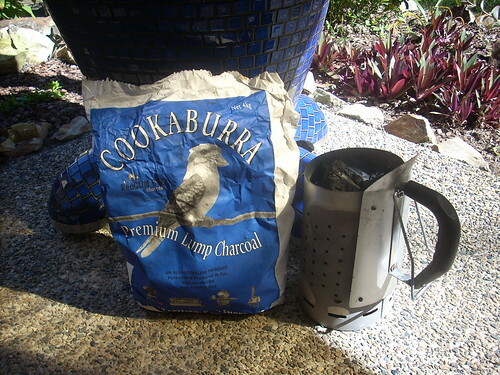 This shows that some of the charcoal falls through the charcoal holder and I think I can modify the holder so it stops these smaller bits from falling through (thereby limiting wastage even more). 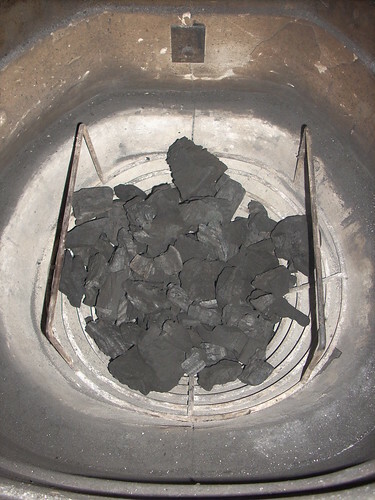 This is a Komodo Kamado modification NOT due to the type of charcoal used. This entry was posted in Recently Posted on September 20, 2010 by paulr.